The US President said in an interview that the massacre at the Connecticut elementary school was "the worst day of my presidency." 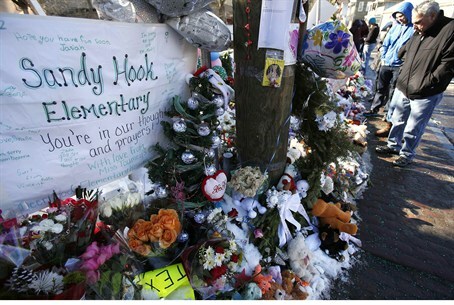 US President Barack Obama said in an interview broadcast Sunday that the massacre at a Connecticut elementary school which killed 20 young children was "the worst day of my presidency." Obama also expressed skepticism about a proposal by the gun lobby group The National Rifle Association to introduce armed guards in every US school and admitted there would be resistance to new proposals to control firearms, AFP reported. "The question ... becomes whether we are actually shook up enough by what happened here that it does not just become another one of these routine episodes where it gets a lot of attention for a couple of weeks and then it drifts away," Obama said. "It certainly won't feel like that to me," Obama said in an interview with NBC's "Meet the Press." "This is something that was the worst day of my presidency. And it's not something that I want to see repeated." Obama has promised to unveil broad-based proposals to rein in gun violence in the United States in the New Year, but has also said he believes there is a right in the US Constitution for individuals to bear arms. He has committed to putting a halt to gun violence at the top of his agenda for his second term, though his remarks Sunday did not appear to signal an all-out effort to shape public opinion on the issue. On December 14, a disturbed man, 20-year-old Adam Lanza, killed his mother in their Newtown, Connecticut home before embarking on a horrific shooting spree at a local elementary school. He blasted his way into Sandy Hook Elementary School and shot dead 20 six- and seven-year old children and six adults with a military-style assault rifle before taking his own life with a handgun as police closed in. The bloodshed, the latest in a string of mass shootings in the United States, reopened a national debate on the country's gun laws, which are far more lax than in most other developed nations.